Acer updated its popular among gamers Nitro line with the new GeForce 9xxM GPUs and made it one of the most wanted gaming laptops, once again. There appeared to be little doubt that it would take pole position, given the awesome price tag and the fact that the new V15 was the first GTX 960M notebook on the market. Now there are some more great alternatives, but none of them could match the price of the new Nitro. 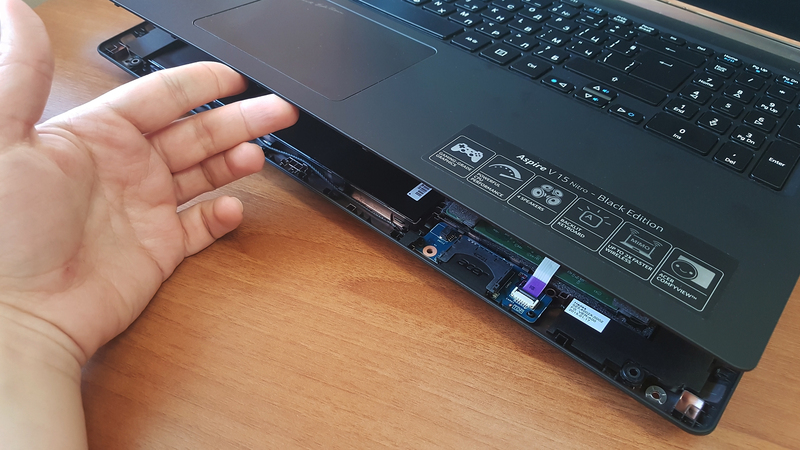 We already showed you the notebook in its full glory, in our detailed review, but now we’re going to dig a little deeper into its internals. 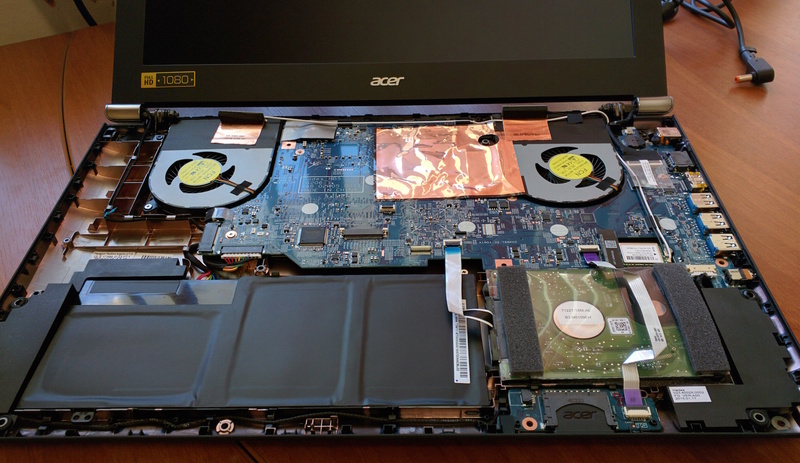 Aspire V15 Nitro is one of these Acer laptops, which are a real pain in the neck when it comes to upgrading maintenance. 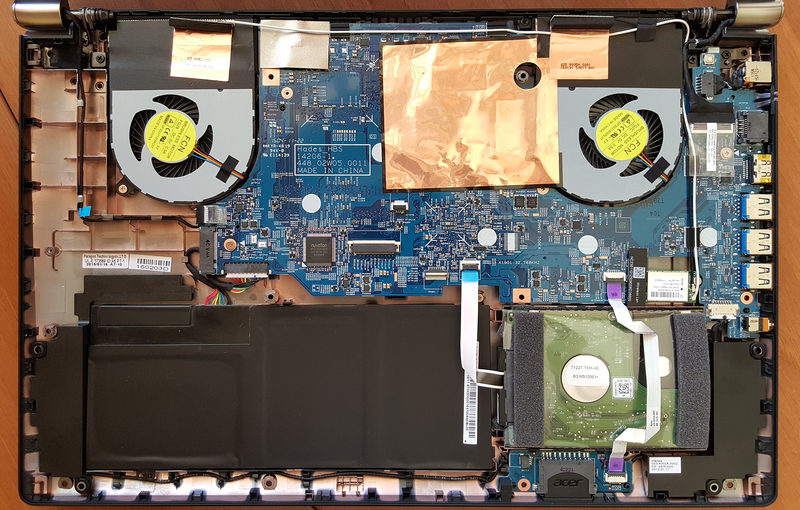 Instead of removing a little “service cover” at the bottom, in order to upgrade you RAM, you have to do a full “dissection”, which includes taking out the keyboard and the motherboard. It’s not that hard, but we still don’t recommend you do it by yourself, if you don’t have disassembling experience. And if you do – you should still be careful if you’re looking forward to the GTA 5 release but don’t plan on buying a new (working) machine. 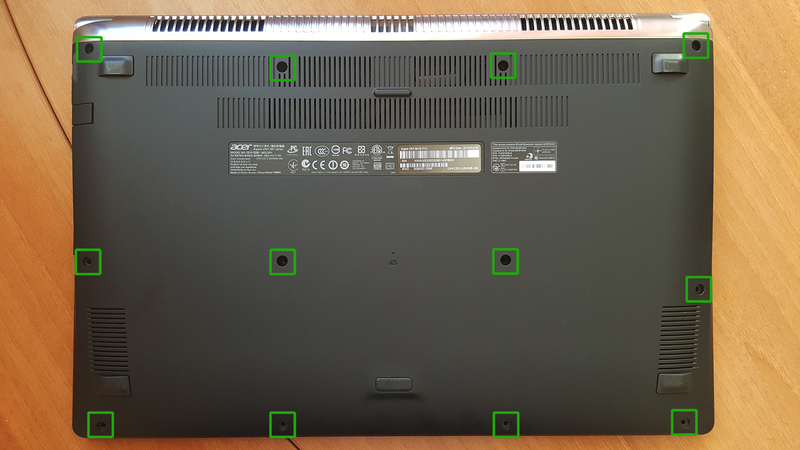 In order to take out the keyboard panel, you need to remove 12 screws at the bottom and then use some kind of pry tool to lift up the palm rest. Be careful here – you should lift it just a little, so as to get access to the attached cables. 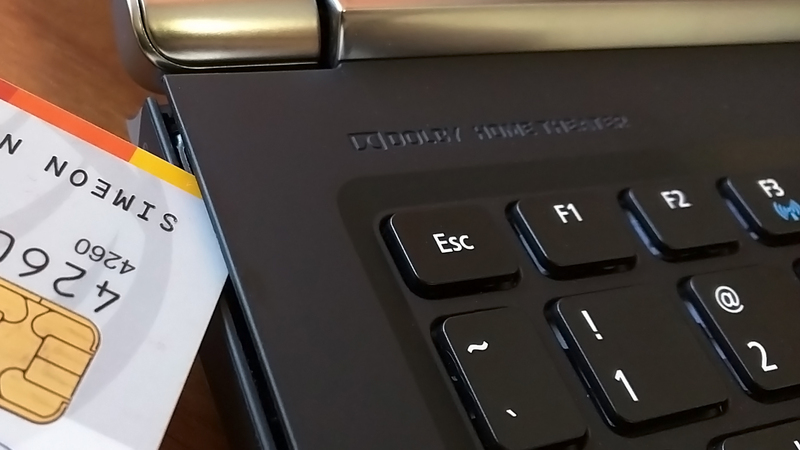 There are three – for the keyboard, for the backlight and for the touchpad. Then you can carefully remove the keyboard panel. That gets you access to some of the components which require frequent service – the 2.5” HDD, M.2 slot, battery and the dual fans. Be sure that you’ve disconnected the battery, before going any further. 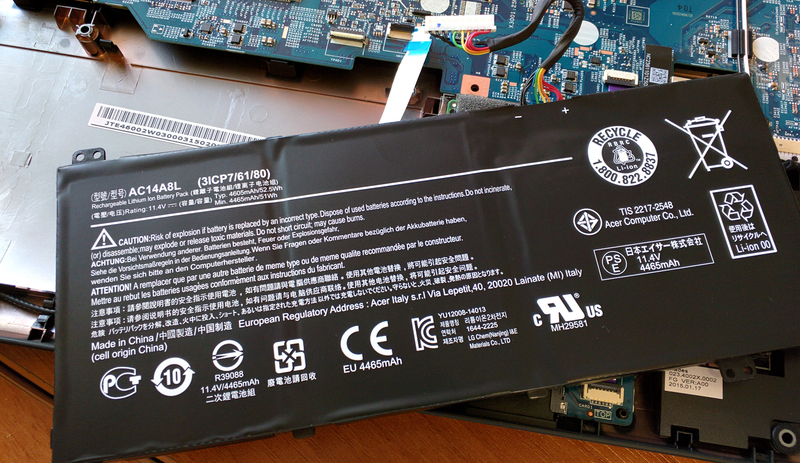 The battery is AC14A8L (52.5Wh / 4605 mAh, 11.1V). 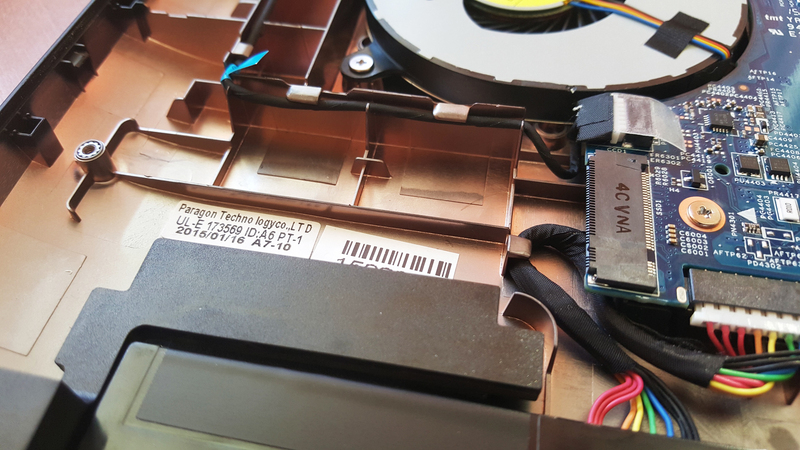 The M.2 slot (in our case it’s free) is 2280-sized, SATA III with B&M key. That’s definitely a sound related to the HDD. We’ve tried the notebook with an SSD and the scratching sound went away. This is an issue not only with the 15-inch version but also with the 17-incher, since they both have the same supplier of HDDs. Is it possible to add an SSD on top of the already existing HDD? It is possible to have two SSDs, that is what I did on mine. SSD1 is M.2 interface (NGFF) and SSD2 is SATA III. But I also have the BIOS password issue, I don’t know how and why but BIOS is now asking for password. It doesn’t affect the operation of the laptop, but obviously stops me from accessing the BIOS settings. where is the cpu? can i reapply thermal paste? Hey there, could someone tell me if acer v nitro its a PGA or BGA one?. Thanks a lot. How much i will cost..
Hi I was just wondering if the basic Ram is 2 x 4GB cards or 1 x 8GB card or how could i find this out? Hi, can i add a samsung 950 pro m.2 Nvme?